iNotepad is designed specifically to allow you to write and perfectly organize all your texts and notes. 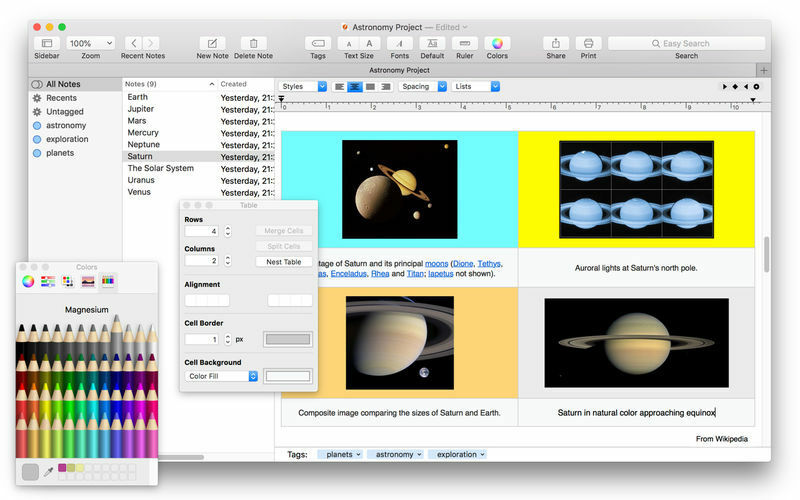 Try it now and it will soon become essential for all aspects related to writing texts with your Mac. Designed to support all the latest Apple text technology,iNotepad will increase your productivity. Write texts and format them as you like, enhance them with images and export them into various standard file formats. Double-click on one image to edit it on the spot. Double-click on the list to edit the various texts in separate windows while continuing to look up all the other ones in the main window. Quickly find all your texts and notes when you need them thanks to convenient search tools, tags and handy navigable Recents system. Next story SuperDuper! 3.2.2 – Advanced disk cloning/recovery utility. Previous story Privatus 6.1.1 – Automated privacy protection.